Fun doesn’t mean mindless, but it does mean a certain freedom from mental strain. It’s never an effort to keep reading a fun book. Sometimes I’m more prone to blog about the other books, the ones that do require an effort, just because I have so much more time to think while I read less-fun books, whereas fun books tend to leave me with a purged feeling that is almost more powerful than whatever specific emotion I derived from the book. Still, fun books deserve to be talked about too! 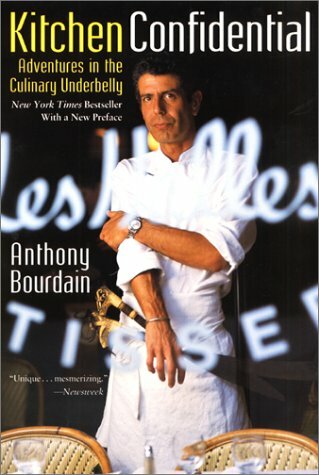 Kitchen Confidential by Anthony Bourdain – Bourdain is a chef who wrote a sort of tell-all about what goes on behind the kitchen doors of a restaurant. Apparently this book was a big hit like ten years ago and sold a bajillion copies. This is very understandable. Not only is Bourdain a colorful character (whose narrative persona seems to ingest drugs on an inhuman scale rivaling the personas of William Burroughs and Hunter S. Thompson), but he also paints a very colorful series of portraits (although the book is very poorly organized and can sometimes be slightly confusing). However, for me the book was most interesting on an anthropological level. If Bourdain is to be believed, all food–even very haute cuisine–is created by fairly uneducated, blue-collar people. Even chefs are portrayed as being very earthy and of fairly humble origins. Line cooks are usually undocumented workers from Mexico, El Salvador, or the Dominican Republic. Further, from his account, it seems like the differences between the kitchens of high class and lower class establishments are not as great as the difference in price and ambiance would seem to indicate. But despite all this, Bourdain and many of these chefs seem to have a love for food, and take a lot of pride–no matter where they work–in doing their jobs well and, often, artistically. Bourdain even devotes a substantial amount of time to discussing the aesthetics of food. In popular culture, it seems like there are two aesthetics of restaurant food. There’s mass-produced food, which is like the food you get in, say, Chinese restaurants or steakhouses, that’s supposed to be the same everywhere and which requires no art or effort. And there’s haute cuisine that is lovingly prepared from the finest ingredients by culinary geniuses who have intense feeling for every dish. But in the world Bourdain portrays, these aesthetics are jumbled up, and restaurant cooking comes out seeming like the most curious mix of high and low art. 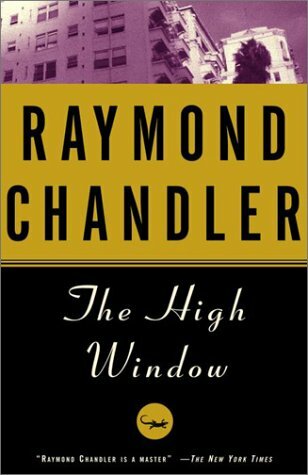 High Window by Raymond Chandler – I’ve only recently gotten back into Raymond Chandler. A few weeks ago, I read Farewell, My Lovely, but this is the book of his that I’ve liked the most. I guess I was most put off by the ways that Raymond Chandler is not like Dashiell Hammett (since I loved the latter so much). Chandler is very different. His stories are smaller and more claustrophobic. They end neatly, and seem to cause nary a ripple in the surface of the environment. But that’s also their beauty. The settings of Chandler stories are spectacular, especially these vast, empty LA suburbs where a lot of his client lives. The environments are larger than any character in his novels. 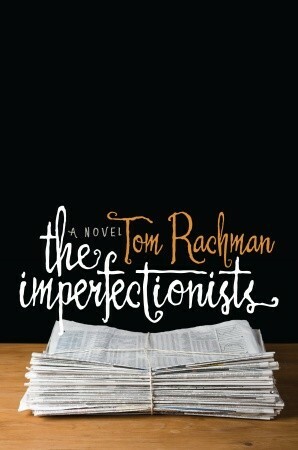 The Imperfectionists by Tom Rachman – Ben Godby recommended this awhile ago and I decided to read it. The book was pretty good. It’s awhile since I’ve read a book that traded so heavily on that tone of murdered wistfulness that seems to be the primary effect which most contemporary literary fiction aims at. But there’s something very compelling about a simple story that is done well (in this case the interpersonal dramas of a bunch of workers at a newspaper in Rome). It reminds you of what a story can accomplish without gimmicks, with just simple elements, rearranged. 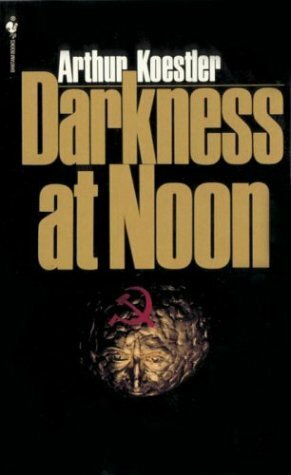 Darkness At Noon by Arthur Koestler – Read this after reading Orwell’s essay on Koestler. This book was a major influence on Nineteen Eighty-Four, which becomes especially evident at the end. It’s about a communist revolutionary who is imprisoned by his superiors for ideological differences (basically, he is about to be purged), and about how the revolutionary slowly justifies to himself the necessity of “confessing” to crimes he never committed. “Psychological thriller” is normally sort of a meaningless term, but in this case it is apt. All the interesting stuff happens inside the head of the main character, Rubakov. Even though, in my case, I knew how it was going to end (because of the Orwell essay), I was still curious about how it was going to get there. Hard Living On Clay Street: Portraits Of Blue Collar Families by Joseph T. Howells – This is a participant observer study–an ethnography–of two working-class families in what is probably the town of Mount Rainier, Maryland (a DC suburb). This guy, Howells, basically followed them around for a year and documented their lives (it was part of some sort of larger study of urban life). What follows was captivating and absurd. Both of these families are alcoholic, seat of their pants type families, characterized by violence, illness, divorce…the whole range of drama and conflict. Personally, I’ve always wondered about the mechanics of the unstable lifestyles that one often reads about (and hears about in many a country music song), and it’s interesting to see how families get by when, for instance, the husband drinks all the time and only works a few days a month. 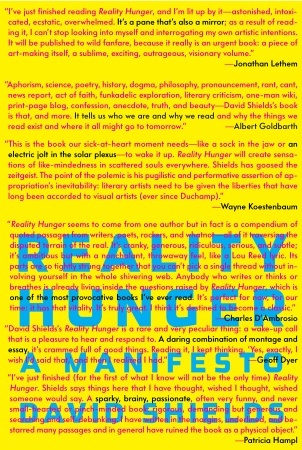 Reality Hunger by David Shield – It’s hard to understand how anyone could believe the core assertion of this book-length manifesto, which is that traditional fiction narratives (not just novels, but also movies, etc.) are dead, and will soon be replaced by new narrative forms like reality television, scripted reality (Borat), memoirs, fake memoirs, etc. Shields believes that the public is very hungry for more authenticity in their fiction and is turned off by stuff that is obviously made-up. He thinks that this is going to result in the public demanding larger and larger chunks of “reality” in their entertainment. To me, that seems unlikely, just because I don’t really sense this “reality hunger”. It seems like people want authenticity, just like they always have…but they also want unreal things (like heroes and dragons and crap), just like they always have. However, that did not hamper my enjoyment of the book, which was ridiculous and over the top, and is also largely composed of unattributed quotes by various writers (the citations are in an appendix in the end that Shields tells the reader not to read). It’s a very high-energy performance.